The decision was taken by Paris Mayor Anne Hidalgo following the deadly attack London. 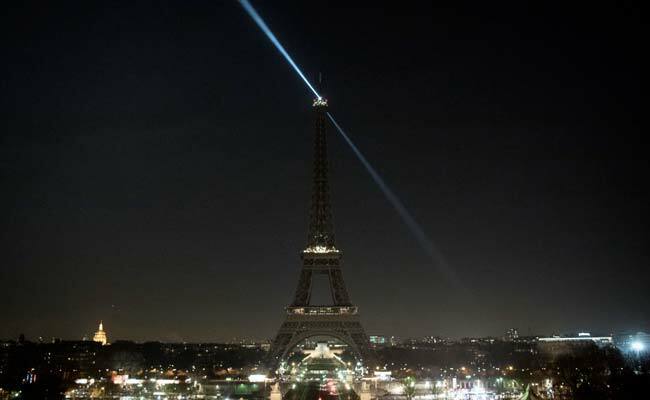 Paris: Lights on the Eiffel Tower will be switched off at midnight (2300 GMT) on Wednesday in solidarity with those killed and injured in a terror attack outside Britain's parliament. The decision was taken by Paris Mayor Anne Hidalgo following the deadly attack in which a man ploughed his car into pedestrians on London's Westminster Bridge then leapt out and stabbed a policeman, killing three people and wounding more than 20. Hidalgo had earlier expressed her "solidarity" in a message to her London counterpart Sadiq Khan, adding: "Paris and London have very close links which have become stronger in the last few decades." She said the two capitals "share a common love of freedom and an attachment to democracy" and were "tolerant and cosmopolitan cities, open to the world."